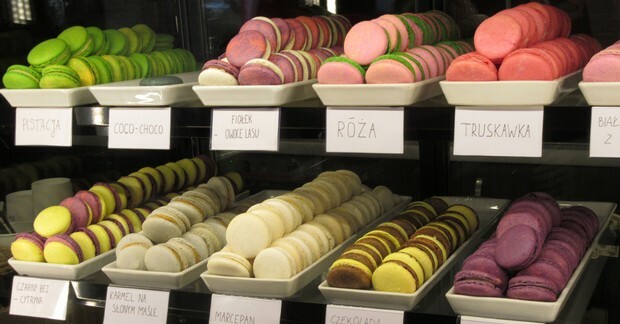 Wroclaw has now jumped on the macaron bandwagon thanks to the arrival of Kawa i Makaronik, a small and unassuming cafe that specialises in these sweet and colourful French delicacies. 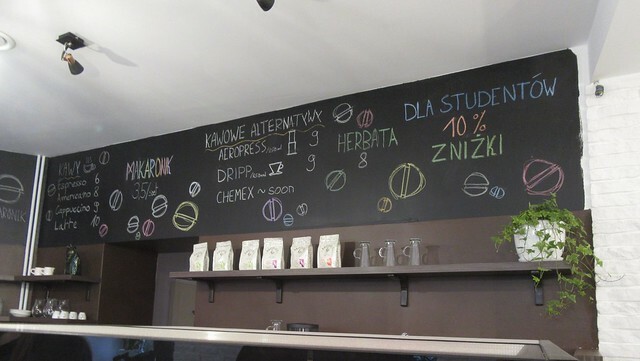 Located near the University, this little spot is set to become a new favourite for Wroclaw's sweet-toothed thed foodies. Unsurprisingly given its name, at Kawa i Makaronik you'll pretty much find nothing other than coffee and macarons. Indeed the only additional sweets or refreshments we spotted were the soft drinks in the fridge. The sheer simplicity of it all seems to work though; the cafe and takeaway just focus on making one thing and it ultimately pays dividends. That said, If you're looking for a spot to unwind in with a truly characteristic interior, this is not it. Aside from the blackboard on the wall, there's virtually nothing in the way of decoration that could give this petit cafe a genuinely intimate aura. Honing in on that minor drawback would be missing the point though, as Kawa i Makaronik perfectly lends itself to those seeking a quick dose of sugar and caffeine. A shot of espresso and a couple of macaroons do go down nicely and compliment any short meeting. It's also very easy to grab a few macarons to indulge in while on the go. In terms of the macarons themselves, they are very hit and miss – much like some of the experimental flavours we saw from Wroclaw's natural ice-cream parlours last summer. The chocolate and lemon ones for example, were like a party in your mouth. On the other hand, I found the rose flavoured ones to taste far worse than they smell. Each macaron costs 3.50zl, which might seem a bit steep. 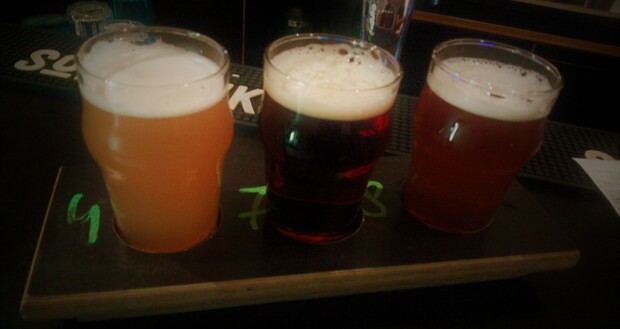 There are worse deals to be found in town though, and higher prices are to be expected in Wroclaw nowadays. 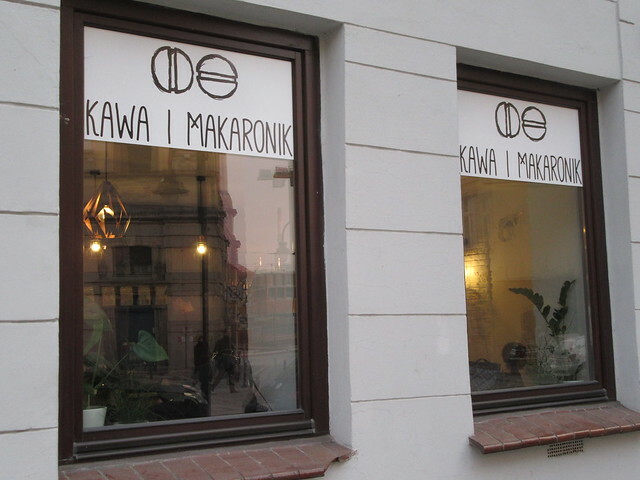 All things considered, Kawa i Makaronik is a worthy addition to Wroclaw's cafe scene. 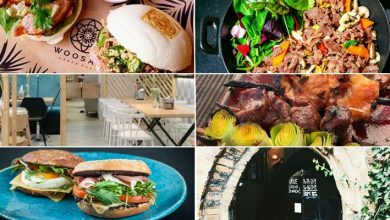 In recent times far too many new cafes, bars and restaurants have gone down a boring copy and paste formula that merely seeks to cash in from the latest trend. 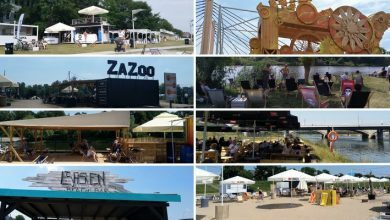 We've seen enough venues try their hand at sushi, gourmet burgers, freshly baked bread or stonebaked pizza. What the city needs is more variety, and this is a cafe that offers just that.